Wonderfully detailed scene! I especially love the whale! Thank you Mit, I appreciate that. 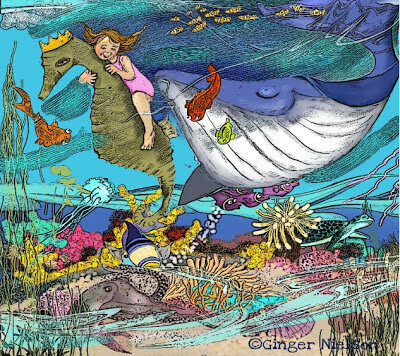 Your ocean is so full of life, Ginger! Lovely illustration with lots of details!! Great style!